Airflow is an important aspect of a PC case because if your computer case has bad airflow design then your internal components will get heat up, and it may result in lower performance and can also affect their lifespan. There are many cases out there with different designs but not all of them have good airflow. Some cases are built more for stunning looks but they do suffer in performance department, especially the cases with tempered glass front panel or solid front panel. A case with good airflow design should be spacious, have mesh front panel for maximum air intake, and there should be sufficient case fan mount points at top & rear for exhaust so as to expel out hot air out. Also, there should be two front panel fan mounts for installing 120mm or 140mm fans, and at least one of the fans have no hard drive cages in front of it. Some of these high airflow cases have extra vents at the rear or top for better air circulation. To have the best airflow, you can use high airflow fans in these airflow computer cases and if you want a quieter case with a bit less cooling performance then you can go for quiet case fans that also offer very good performance. Some users do prefer performance over looks and they prefer cases with high airflow even if their looks are on average side. So, here I am going to list down the best airflow PC cases for all major form factors that include mini-tower, mid-tower, full-tower and cube case. These below mentioned high airflow cases are handpicked by me and they all come with good airflow, ventilation and offers maximum cooling performance to your internal components. 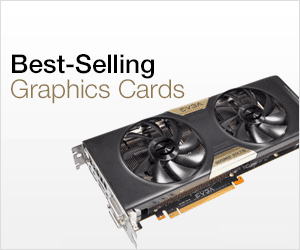 They can be used for building gaming PC, work PC or a high-performance PC with overclocking. Below are the best airflow mini-tower cases that can support up to micro-ATX motherboards. These cases can be used to build a small form factor PC for gaming or work. A very good budget airflow case for building a budget gaming PC or a work PC for home or office. Cooler Master N200 can support micro-ATX motherboards and is pretty spacious for a mini-tower case. It comes with a full mesh front panel and fan mount points at front, top, rear and side for achieving good airflow and also has good ventilation. It features an asymmetrical front panel with a brushed I/O bar that looks good and gives it a modern and futuristic look. I/O ports on the front panel include one USB 3.0 port, two USB 2.0 ports and Audio ports. The build quality of the case is pretty good, along with the finishing. The case can support high-end graphics cards up to 355mm in length, 160mm tall CPU coolers and up to 240mm radiator for liquid cooling, which is remarkable for a mini-tower case. It comes with a 5.25-inch bay for optical drive which is very beneficial and you can install up to three 3.5” drives and up to four 2.5” drives for storage. Other features include removable dust filters, tool-free drive installation and cable routing. You can get this micro-ATX airflow case under 50 dollars. Thermaltake Versa H18 is a stylish micro-ATX case for building an entry level gaming PC or a home PC. 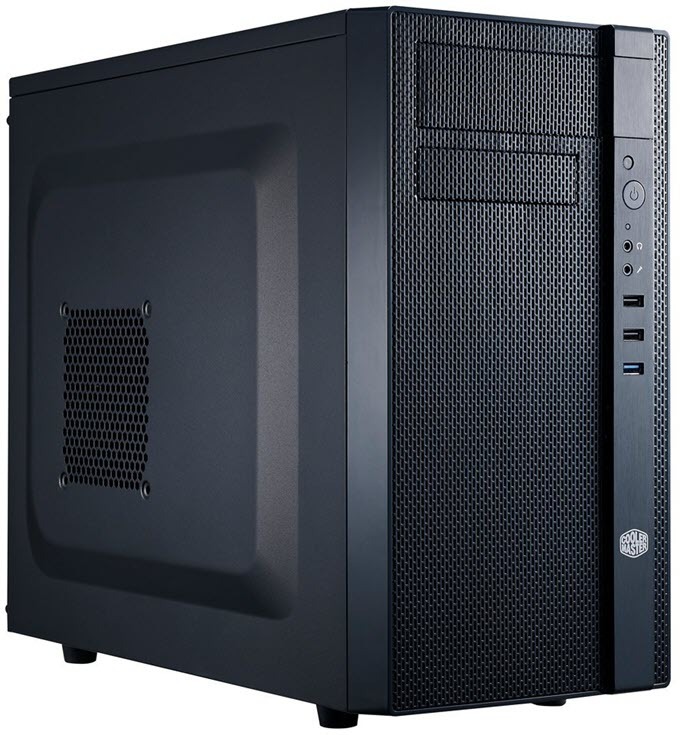 The case has some resemblance to the above mentioned Cooler Master N200 case, but lacks support for 5.25-inch drive bay. It is a spacious case with good build quality and it comes with a full mesh front panel and fan mount points at front, top and rear. The I/O ports are located on the extreme side of the front panel where it also features a blue LED light bar that looks pretty coo. Front I/O ports include one USB 3.0, two USB 2.0 and HD Audio ports. It can accommodate powerful graphics cards up to 355mm in length, 155mm tall CPU coolers and up to 280mm Radiators for AIO liquid cooling. It is also pretty decent in storage department as you can install two 3.5-inch and two 2.5-inch drives. It also has got tempered glass panel window so that you can have a clear look at your components from outside. Other features include cable management and tool free drive installation. 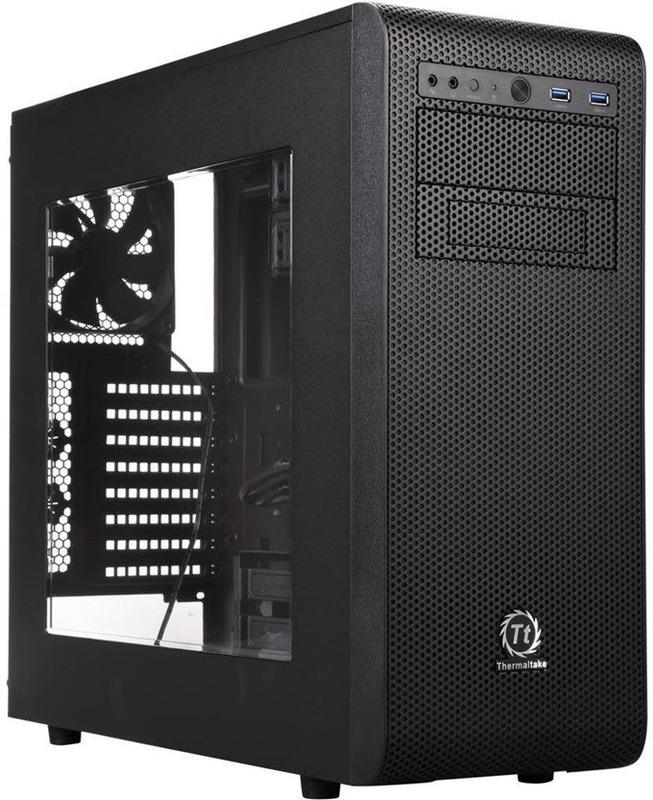 Note: There is another good mini-tower case available from Thermaltake, which is Thermaltake Versa H15 M-ATX Gaming Case that also includes an 5.25-inch drive bay. It does lack transparent widow side panel but is a bit cheaper and it also has Full Mesh Front Panel. Fractal Design Meshify C Mini is the best micro-ATX high airflow PC case you can get in mini-tower form factor. The case has streamlined high-airflow design that packs sheer quality, and is good looking & very spacious to fit high-end components for building a powerful PC for gaming or work. For airflow, it comes with full angular front mesh panel with up to 5 fan mount points at front, top, rear and bottom. Two 120mm Dynamic X2 GP-12 Fans come included with the case, one at the front and one at the rear, and you can install more for achieving greater airflow. The top of the front panel has I/O ports that include two USB 3.0 ports and audio ports. The case also features tinted tempered glass panel that gives it a premium look, and you can view all your components from outside. The case is big enough to fit up to 315mm long graphics cards (with front fan installed), tall CPU coolers up to 175mm in high and 280mm Radiators for water cooling. You can add total of 5 storage drives which is quite reasonable. Other features include easy to clean dust filters, cable routing and tool less drive installation. 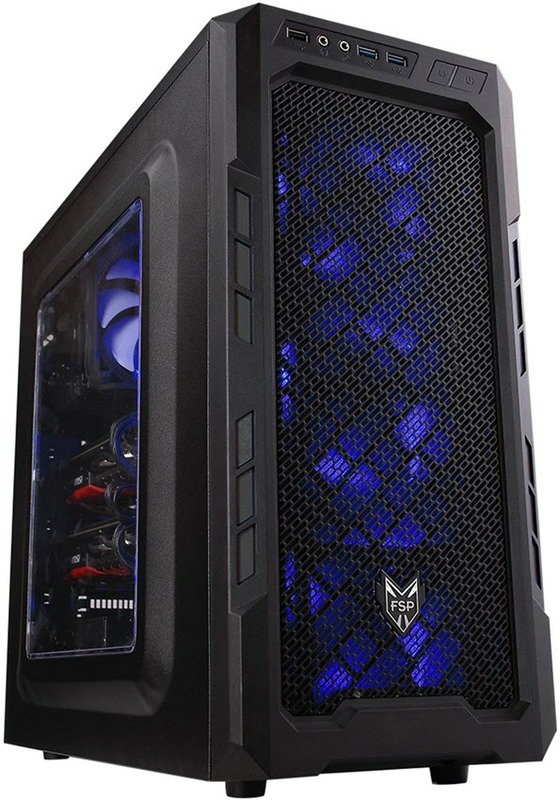 The case is a bit costlier than the above mentioned mini-tower cases, but it is definitely worth it considering its premium quality, more space, styling and features it offers. Highly Recommended by me if budget is not an issue. Below are the best mid-tower cases with high airflow and they can support up to ATX sized motherboards. Some mid-tower tower cases in this list can even support up to E-ATX motherboards. SilverStone Redline RL06 is one of the best airflow mid-tower cases that provides ultimate cooling of your internal components. The case offers tons of space and has clean looking elegant design. 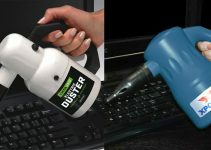 It can support up to ATX sized motherboards. For airflow, it comes with full front mesh panel and with three 120mm LED fans pre-installed. The two top front fans cool down the components located on the motherboard (CPU, RAM, Graphics Card etc. 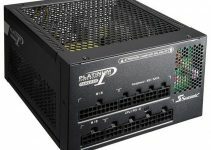 ), and the lower front is used for cooling the 3.5-inch / 2.5-inch drive bays that are located on the bottom side of the case under a cover that extends to the PSU. There is also space for two top fans and one rear fan which can be installed for exhaust purpose. I/O ports are located on the top of the front panel that includes two USB 3.0 ports, two USB 2.0 ports and Audio ports. The case supports up to 348mm long graphics cards, 158mm tall CPU coolers and allows you to install up to 240mm Radiators for AIO liquid cooling. 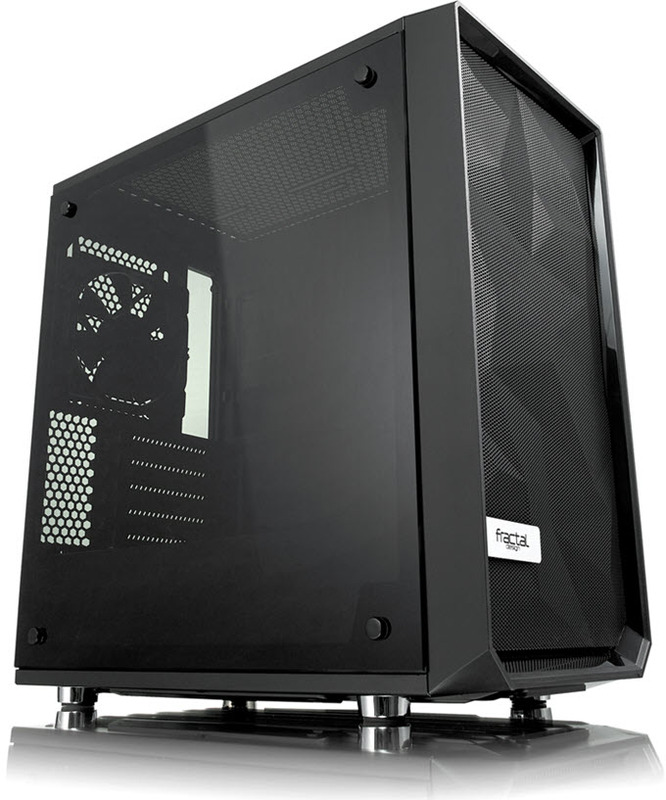 The build quality of this case is great and it has got tempered glass side panel for viewing your gaming components. 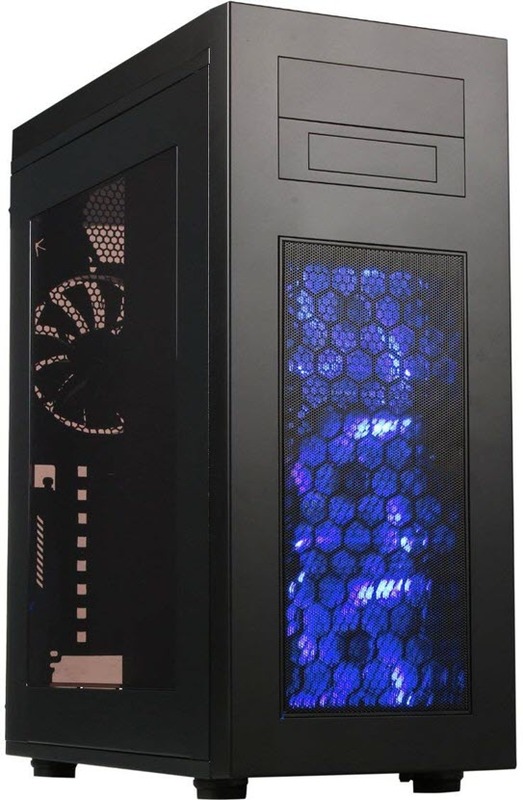 Other features of this case include dust filters (front, top, bottom), PSU and drive bay cover, integrated 3-pin Fan controller for 10 fans, cable management and tool free drive installation. The only thing that I am a bit dissatisfied with this case is the CPU cooler clearance height, which I think should have been at around 170mm, but nevertheless it is quite decent and you can find a good CPU cooler at height of 158mm or less. Highly Recommended by me for building a mid-range to high-end gaming PC. 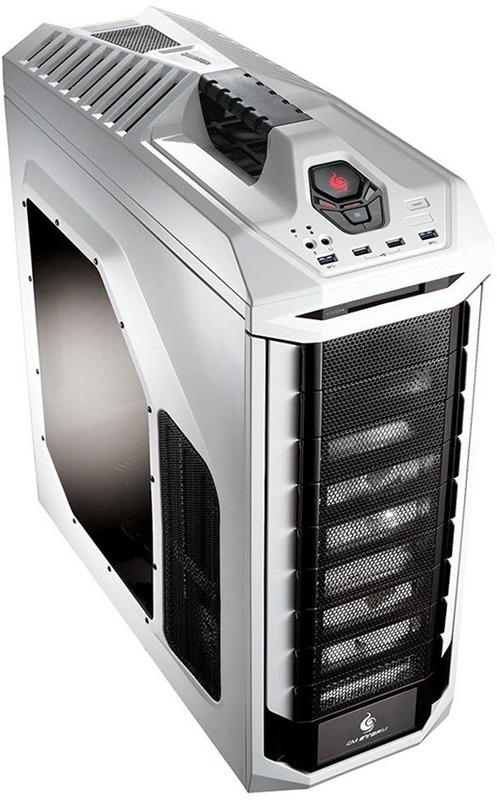 The case is available in Red and Silver color scheme with options of Red LED or White LED fans. If you are looking for a premium mid-tower airflow case tower with great features, strong build quality and high internal space then Phanteks Enthoo Pro M Tempered Glass Case is what you should consider. 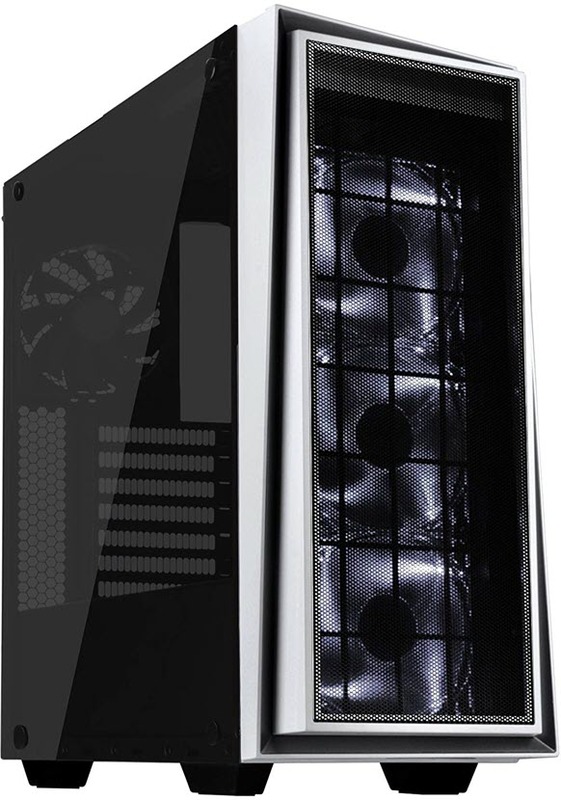 This is a stylish case with brushed aluminum look and can support up to E-ATX sized motherboards. The airflow in this case is amazing as it has got a mesh front panel, spacious interior and 120mm/140mm fan mount points at front, top and rear. One 140mm fan at front and one at rear comes included with the case, and you can install more for achieving much greater airflow. The case also comes with a 5.25” bay for installing an optical drive. The Interior design of the case is very clean and simple, and it has got proper ventilation. I/O ports are located on the side of the front panel and they include two USB 3.0 ports and audio ports. The case is water cooling ready and includes mounts for pump and reservoir. The case can accommodate high-end graphics cards up to 420mm in length, CPU coolers up to 194mm in height and up to 360mm radiators for AIO or custom water cooling. It offers enough clearance for all the components whether it is RAM, GPU, CPU etc. Tempered glass side panel allows you to showcase your build and it also gives the case a more premium look. The case is upgradable with Phanteks RGB products. Other features include removable dust filters (on top, front, bottom), cable routing & management and tool free drive installation. 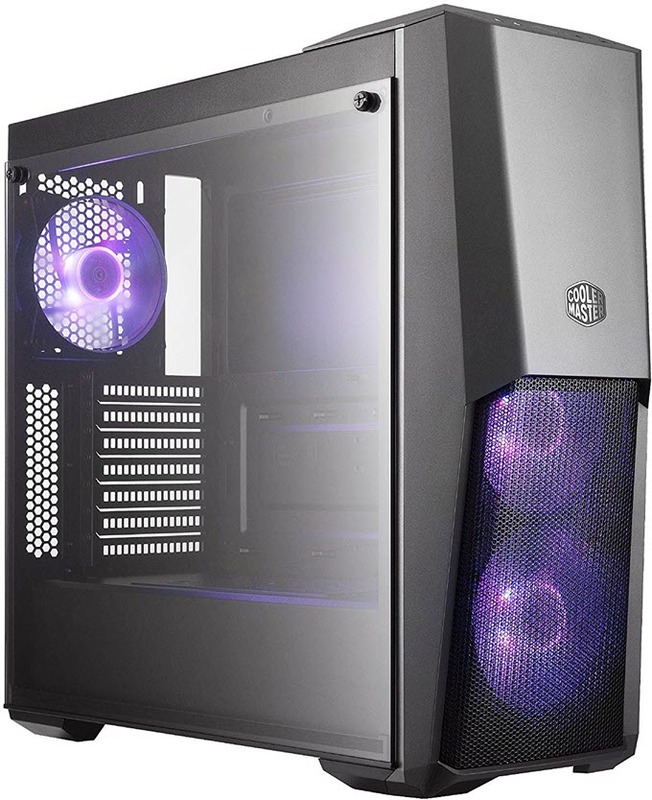 This case is my personal favorite and according to me this is the best mid-tower airflow case and you can build a high-end gaming PC or high-performance water-cooled PC. It is also quite affordable and gets a top recommendation by me. 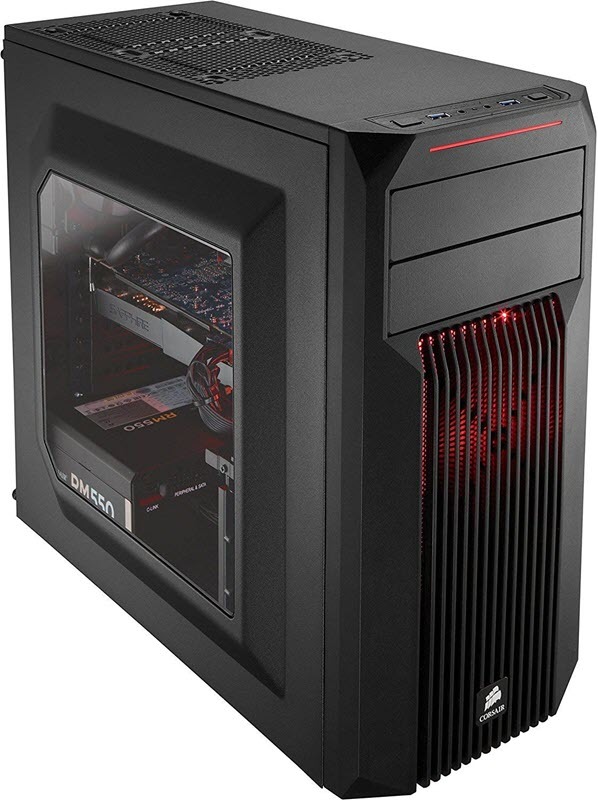 Here we have mainstream budget mid-tower ATX gaming case, which is FSP CMT210. It is a spacious case and comes with full metal mesh front panel. The gaps or holes in the front mesh panel are bigger in size and this allows for better air intake and thus improves airflow. You can install up to three 120mm fans on the front panel and one 120mm fan at the rear. The top panel is solid with no vents, but even then, the case offers very good airflow and cooling performance. On the top of the front panel you can find two USB 2.0 ports, one USB 2.0 port and audio ports. The case supports graphics cards up to 360mm in length, 160mm tall CPU coolers and up to 360mm Radiators for Water cooling. In terms of storage department, you can install maximum of three 3.5-inch drives and three 2.5-inch drives. Other features include a Translucent Window Panel, Tool free drive installation and cable routing. 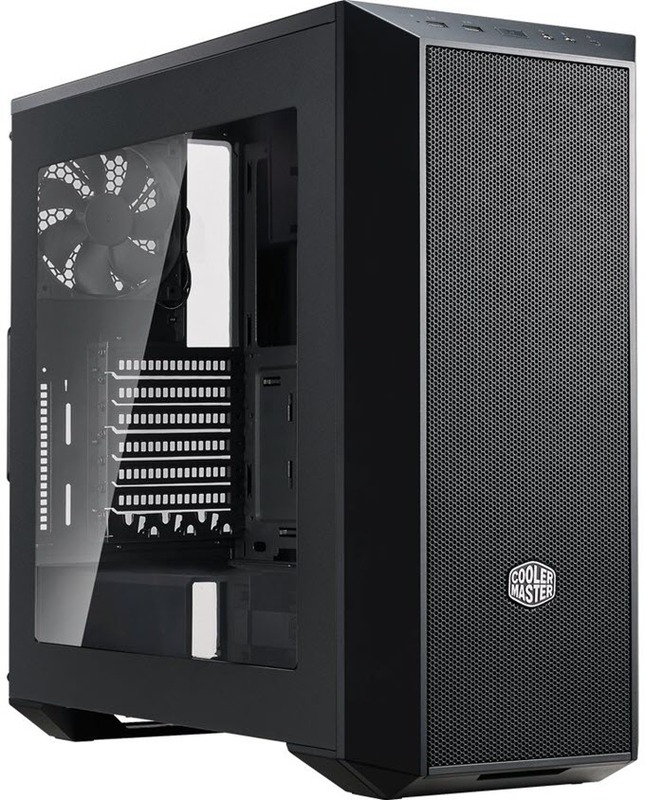 Overall, a very good budget mid-tower case with good airflow, and you can get it for building a budget gaming PC or even a mid-range gaming PC. Cooler Master MasterBox MB500 is one of the most stylish cases in this high airflow mid-tower cases category. It is an RGB Case that comes with two 120mm RGB fans at front and one 120mm RGB fan at rear. You can optionally install two 120mm fans at top for more airflow. A RGB controller is included for controlling these RGB fans and it is compatible with Asus Aura Sync, Gigabyte RGB Fusion, MSI Mystic Light Sync and ASRock Polychrome Sync RGB softwares. The case comes with a semi-meshed front panel with hexagonal vents and it works pretty good for achieving proper airflow and ventilation. The case offers good amount of space for all your high-end gaming components and support up to ATX motherboards. Front I/O ports include two USB 3.0 ports and Audio ports. A 4mm thick tempered glass panel allows you to view all your inside components and showcase them to others. The case can support 400mm long high-end graphics cards, 160mm tall CPU coolers and up to 360mm Radiator for water cooling. You can add up to two 3.5-inch and two 2.5-inch drives for your storage needs. Other features include dust filter, cable routing and tool free drive installation. The case is also on the budget side and you can really build a high airflow fancy gaming PC with this case. Thermaltake Core V31 is modular case that can be used to build a water cooled or air-cooled PC for gaming. The case is simple in looks and is very spacious from inside. It also includes two 5.25-inch bays, which can be used for an external optical drive and you can also fit a 5.25-inch Fan Controller to other. The front panel is made up of full metal mesh panel and you can install two 120mm/140mm fans at front. You can also install fans at top, rear, top and even at bottom for achieving superior airflow. On the top of the front panel, you will get USB 3.0 ports and Audio ports. The case can support up to 420mm long high-end graphics cards, 155mm tall CPU coolers and 360mm Radiators for AIO or custom water cooling. It is Thermaltake Tt LCS Certified for extreme liquid cooling performance. For your storage needs, it has got three 3.5-inch and two 2.5-inch drive bays. Other features include magnetic dust filters, cable routing and tool-free drive installation. So, if you looking to for a high airflow mid-tower case that has good liquid cooling support then this is one the best in the market. 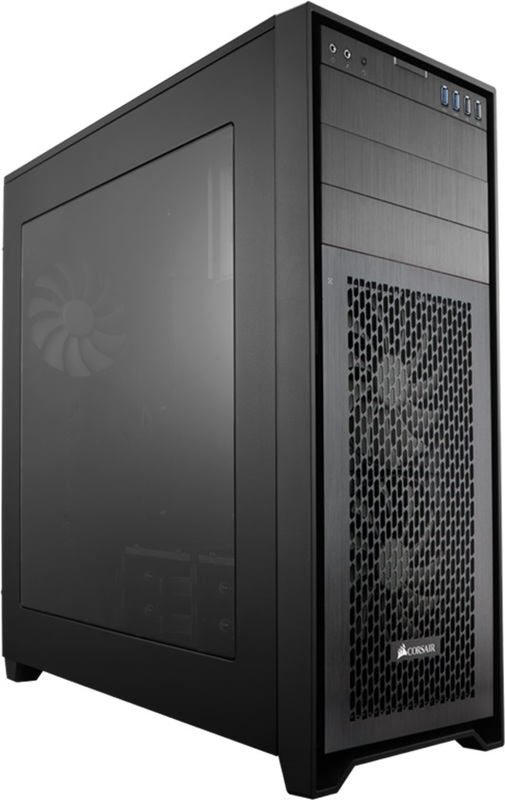 Corsair Obsidian Series 450D is a very popular mid-tower case that is known for its high airflow design. 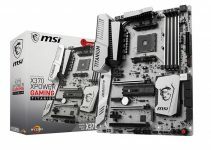 It can support up to E-ATX motherboards. The case is also very well built, having a steel body and a brushed aluminum front panel that has vents and covers almost 3/4th part of the front panel. These front panel vents or mesh are bigger in size and allows for better intake of air and offers good ventilation. The top of the front panel is solid that includes I/O ports and space for two 5.25-inch drive bays. The case comes with two Corsair AF140L fans at front and one at rear. You can also install fans at top and bottom for increasing the airflow further. Front I/O ports consists of two USB 3.0 ports and Audio ports. The case is capable of supporting up to 430mm graphics cards, 165mm tall CPU coolers and 360mm radiator for water cooling. For storage, it includes two 3.5-inch and three 2.5-inch drive bays which I think is sufficient for most of the users. Other features of this case include dust filters, cable routing & management, tool-less drive installation and a transparent acrylic side window. So, if you are looking for an elegant & classic looking case with excellent airflow for a gaming or high-performance build, then you won’t be disappointed at all. 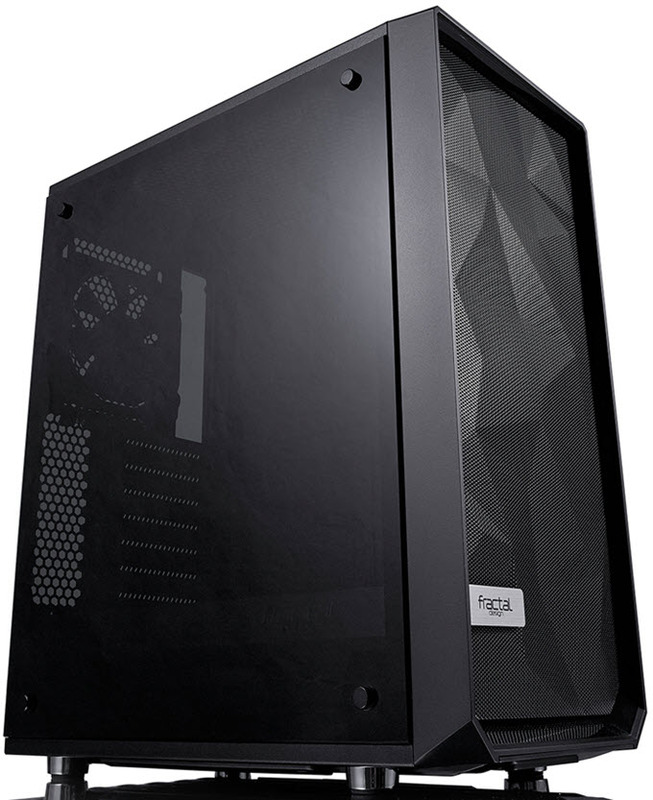 Fractal Design Meshify C TG Dark is a sturdy, modern, stylish, feature rich and spacious mid-tower case that offers great airflow and superior cooling performance. The case comes with angular mesh front panel for maximizing air intake and you can install up to three 120mm fans or two 140mm fans at front. It also includes fan mount points at rear, top and bottom for increasing airflow and ventilation. One Dynamic X2 GP-12 fan at front and one at rear comes included with the case. A tinted tempered glass side panel further enhances the beauty of this case and it showcases all your high-end internal components to the outside world. Front I/O ports include two USB 3.0 ports and Audio ports. The case can support 315mm long high-end graphics cards, 172mm tall CPU coolers and 360mm Radiator for AIO or custom water cooling. For storage, you can add up to two 3.5-inch and up to three 2.5-inch drives. Other features include easy to clean dust filters, full length power supply shroud, cable routing & management and tool free drive installation. This high airflow case can be used to build a mid-range to high-end gaming PC, or a high-performance PC for work. It is also available in white and black color scheme which you can also check out from the link given below. 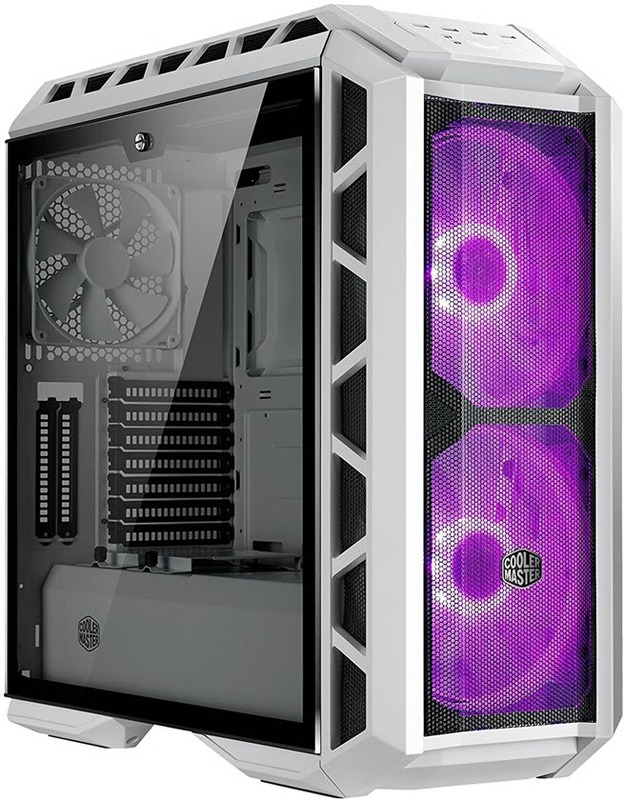 Cooler Master MasterCase H500P Mesh White is great looking RGB Mid-tower case with optimized high airflow design. The case offers tons of space for all of your high-end gaming components and is liquid cooling ready. For airflow, it comes with full front mesh panel and two 200mm RGB fans behind it, and one 140mm fan at rear. You also install two 200mm fans at top or three 120/140mm fans to enhance airflow even further. It also includes mesh running on sides of front and top panel that allows better ventilation and cooling performance. This a beautiful, stylish and modern looking case with unique design elements all around it. The tinted tempered glass side panel further enhances the beauty of this case and you can showcase all your fancy internal components to others. Front I/O ports include two USB 3.0 ports, two USB 2.0 ports and Audio ports. The case can support high-end graphics cards up to 412mm in length, 190mm tall CPU coolers and up to 360mm radiators for AIO or custom liquid cooling. It also supports vertical mounting of graphics card but you need to purchase the GPU Riser cable for it additionally. Storage is decent and it include two 3.5” / 2.5” drive bays and two 2.5-inch bays (support up to 5). Other features of this case include an RGB controller and 1 to 3 Splitter Cable for RGB LED Fans, PSU shroud, cable management cover and tool-free drive installation. So, if you are looking for a spacious and beautiful high-airflow RGB case then you should totally go for it. A good budget mid-tower case that offers good airflow and supports up to ATX size motherboards. It comes with a full mesh front panel and you can install two 120mm / 140mm fans at front and one 120mm fan at rear. The case is pretty spacious to fit all of your high-end gaming components but is rather low on drive bays as you can install maximum of three 3.5”/2.5” storage drives. Case ventilation is pretty good with clean interior design. Front I/O ports include one USB 3.0 port and audio ports. The case can accommodate graphics cards up to 410mm in length, 167mm tall CPU coolers and 280mm radiator. Other features include transparent side panel, dust filters, extended power supply cover, tool free drive installation and cable routing. Overall, a decent budget airflow case for building a budget gaming PC or a work PC. Corsair Carbide Spec-02 is a popular budget mid-tower gaming case that can supports up to ATX sized motherboards. It is a well-built case that offers good amount of space but it is not suited for building a water-cooled PC, because it can only support a 120mm radiator. The case comes with a metal mesh front panel on front and fan mount points at front, top, rear and bottom. A Red LED 120mm fan comes include with the case. Airflow and ventilation is pretty good in this case, and it includes two USB 3.0 ports and audio ports on the top of the front panel. The case can fit a 420mm long graphics card, 157mm tall CPU cooler and 288mm PSU. It has got two 5.25-inch bays, three 3.5-inch bays and two 2.5-inch bays. Other features include transparent window side panel, cable routing and tool less drive installation. So, if you are looking for a budget airflow mid-tower case for building a budget gaming PC then I highly recommend it. Below are the best airflow full-tower cases for building a high-end gaming PC or an enthusiast PC for overclocking. A clean and elegant looking full tower case with great build quality and airflow. This is the airflow edition of Corsair Obsidian Series 750D case that comes with a metal mesh front panel with wider gaps for better air intake. The case offers tons of space and fan mount points at front, top, bottom and rear for increasing airflow and thus cooling performance. I/O ports are located on the top of front panel and they include two USB 3.0 ports, two USB 2.0 port and Audio ports. It is also big on storage and includes three 5.25-inch drive bays for optical drive, six 3.5/2.5 inch drives and four 2.5-inch drives. The case can fit high-end graphics cards up to 450mm in length, 170mm tall CPU coolers and 360mm Radiator for AIO or custom water-cooling setup. Other features include transparent side panel, magnetic dust filters (front, top, PSU), cable routing and tool-free drive installation. This is a high-quality airflow case from Corsair and is great for building a high-performance system or a high-end gaming PC. Highly Recommended by me. 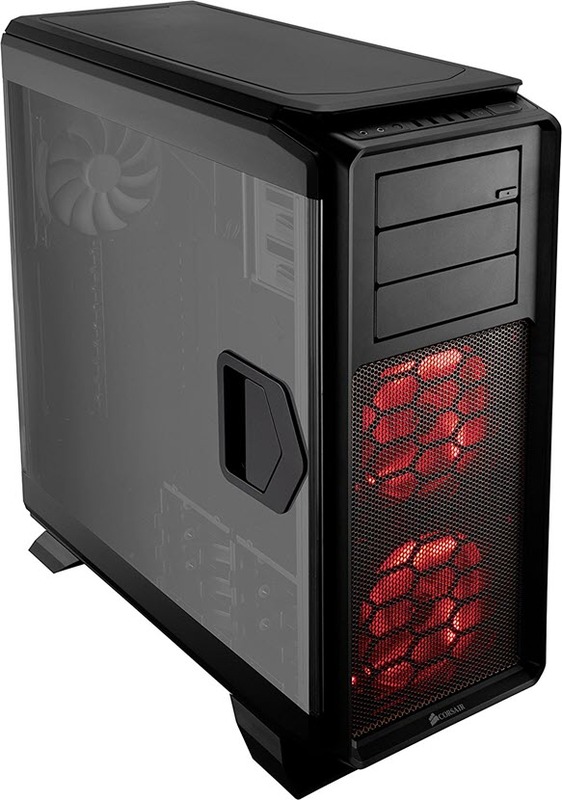 If you are looking for a budget full-tower case with good airflow the Rosewill Rise is a perfect case for your needs. It is a very spacious case and can support up to E-ATX motherboards. The case comes with fairly large mesh front panel with three pre-installed blue LED 120mm fans at front and one 140mm fan at rear. You can also install two 120mm / 140mm fans at top for increasing airflow and thus cooling performance of the case. It can support dual PSUs which is a very special feature of this case. Front I/O ports include two USB 3.0 ports, three USB 2.0 ports, Audio and Fan speed control knob for changing fan speed. The case supports high-end graphics cards up to 355mm in length, CPU coolers up to 188mm in height and 360mm Radiators for AIO coolers or custom liquid cooling setup. For storage, it has got two 5.25-inch bays, two 3.5-inch and three 2.5-inch drive bays. The case includes dust filters at front, top and bottom and comes with a transparent side panel window, cable routing and tool-free drive installation. Overall, it is a very good budget full tower airflow case for building a mid-range or high-end gaming PC. 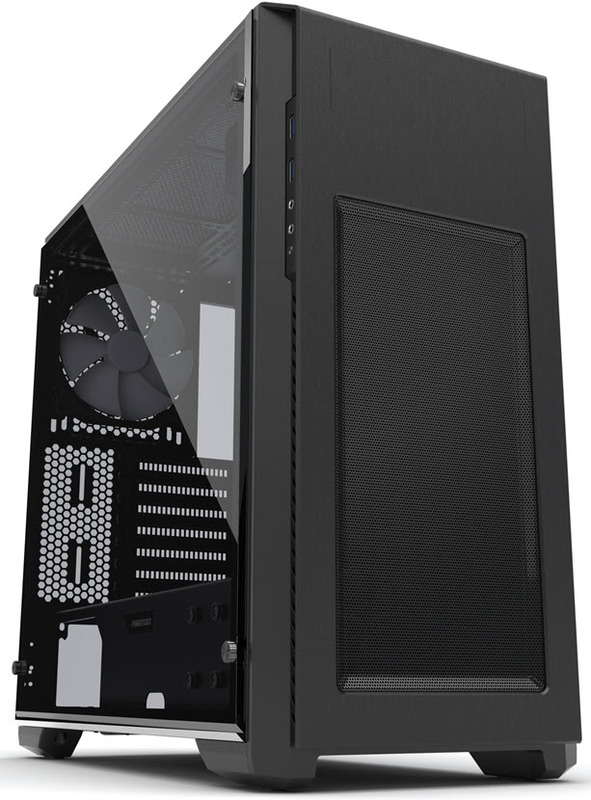 Corsair Graphite 760T is huge full tower case from Corsair that can support up to XL-ATX sized motherboards. The case also stands very tall and it sits way above the ground because of its two big stands at the bottom. This increases airflow to the bottom especially for the PSU. More than half of the front panel is made of up of metal mesh and you can install two 120mm or 140mm fans behind it. Two 140mm Red LED fans (AF140L fans) comes pre-installed at front and one 140mm fan at rear. Other fan mount points are at top and bottom and you can install more fans to increase airflow further. The case comes with a swingable hinged side panel that can be opened by a quick release latch for convenience. Front I/O ports include two USB 3.0, two USB 2.0 and Audio ports. The case can fit 450mm long high-end graphics cards, 170mm tall CPU coolers and up to 360mm Radiators. The case has got very good airflow and ventilation, and for storage it includes three 5.25-inch bays, six 3.5/2.5-inch bays and four 2.5-inch bays. Other features include dust filters, cable management and tool free drive installations. Overall, a very good high airflow full tower case for building a high-performance PC for gaming or for work. Highly Recommended by me. P.S. 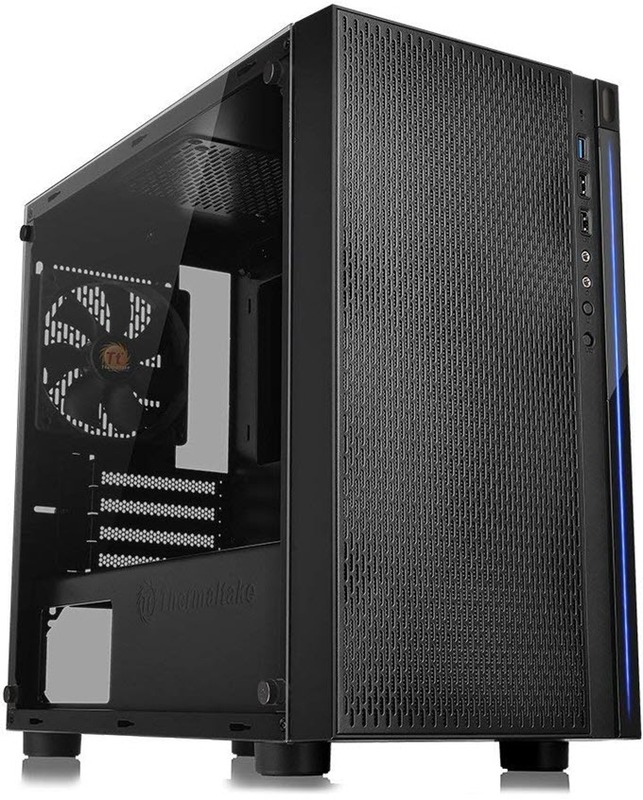 – You can also check out Corsair Graphite Series 780T Full Tower Case which is also a spacious high airflow case and comes with swing-able transparent side panel. 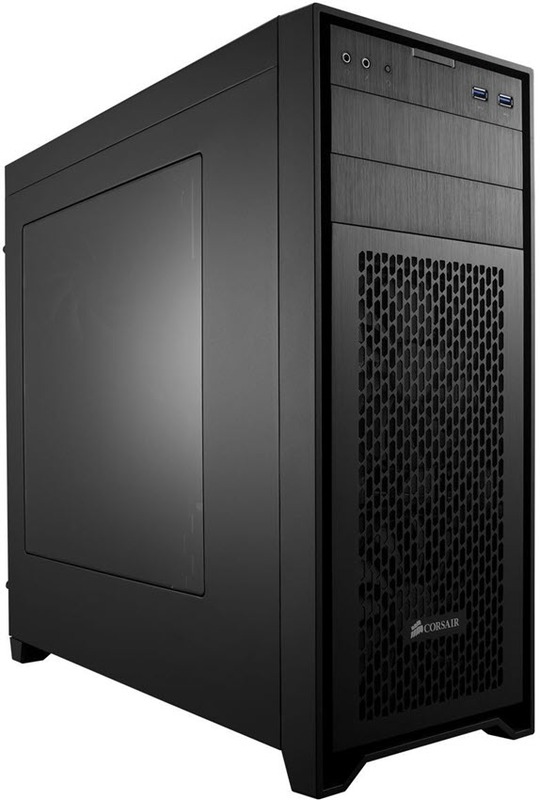 The case is kind of similar to the Corsair Graphite 760T case. Cooler Master Stryker is a stylish, modern and beautiful looking case that offers tons of space and features. This case comes with nine 5.25-inch bays and provides plenty of space for 3.5-inch and 2.5-inch storage drives. It has got full front mesh panel and you can install two 120mm fans at front, a huge 200mm fan at top, 120mm / 140mm at rear and two 120mm fans at bottom. Front I/O ports include two USB 3.0 ports, two USB 2.0 ports, audio ports, fan control buttons and an external SSD drive hot-swap dock that can prove very handy. The case features a carrying handle at the top that allows you to move the case around from place to another with ease. The handle is very strong and has rubber coating over it for added comfort. The case can fit graphics cards up to 322mm in length, tall CPU coolers up to 186mm in height and 280mm radiator for water cooling. Other features include transparent side window panel, cable routing and tool free drive installation. Overall, a great case for building a gaming PC and a high-performance workstation. Here are the best airflow cube cases with front mesh panel and high-airflow design. So, if you want to build a PC with overall lower temperatures then these above mentioned high-airflow cases are very good at their job. I have listed high-airflow cases for all major form factors and you can choose your desired case according to your needs or requirements. For best airflow performance, you should install high performance airflow fans for much better cooling performance. If you have got any queries then please ask them by leaving a comment below.